The Union Cabinet chaired by the Prime Minister Shri Narendra Modi in its meeting on 15.3.2017, has approved the National Health Policy, 2017 (NHP, 2017). The Policy seeks to reach everyone in a comprehensive integrated way to move towards wellness. 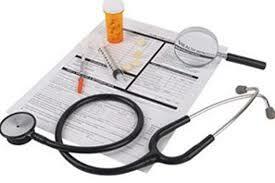 It aims at achieving universal health coverage and delivering quality health care services to all at affordable cost. The policy proposes raising public health expenditure to 2.5% of the GDP in a time bound manner. Policy envisages providing larger package of assured comprehensive primary health care through the Health and Wellness Centers'. This policy denotes important change from very selective to comprehensive primary health care package which includes geriatric health care, palliative care and rehabilitative care services. The policy advocates allocating major proportion (upto two-thirds or more) of resources to primary care followed by secondary and tertiary care. The policy aspires to provide at the district level most of the secondary care which is currently provided at a medical college hospital. The policy supports voluntary service in rural and under-served areas on pro-bono basis by recognized healthcare professionals under a 'giving back to society’ initiative. The Cabinet has approved the National Health Policy 2017. Itis a huge milestone in the history of health sector in the country. The Health Ministry has formulated the National Health Policy 2017, under the guidance of the Hon. Prime Minister Shri Narendra Modiji. The last National Health Policy was framed in 2002. So, this policy has come after a gap of 15 years to address the current and emerging challenges necessitated by the changing socio-economic, technological and epidemiological landscape. The Government of India adopted a highly participative and consultative approach in policy formulation process. The Draft National Health Policy was placed it public domain on 30th December, 2014. Over 5000 suggestions were received. This was followed by consultations with the State Governments and other stakeholders for further fine tuning of the policy. The policy was placed before the Central Council for Health & Family Welfare, the apex policy making body and was unanimously endorsed by it. The policy informs and prioritizes the role of the Government in shaping health systems in all its dimensions- investment in health, organization and financing of healthcare services, prevention of diseases and promotion of good health through cross-sectoral action, access to technologies, developing human resources, encouraging medical pluralism, building the knowledge base required for better health, financial protection strategies and regulation and progressive assurance for health. The policy is aimed at reaching healthcare in an assured manner to all, particularly the underserved and underprivileged. The policy aims for attainment of the highest possible level of health and well-being for all at all ages, through a preventive and promotive health care orientation in all developmental policies, and universal access to good quality health care services without anyone having to face financial hardship as a consequence. This would be achieved through increasing access, improving quality and lowering the cost of healthcare delivery.The broad principles of the Policy are centered on professionalism, integrity and ethics, equity, affordability, universality, patient centered and quality of care, accountability and pluralism. The policy seeks to move away from Sick- Care to Wellness, with thrust on prevention and health promotion. While the policy seeks to reorient and strengthen the public health systems, it also looks afresh at strategic purchasing from the private sector and leveraging their strengths to achieve national health goals. The policy looks at stronger partnership with the private sector. As a crucial component, the Policy proposes raising public health expenditure to 2.5% of the GDP in a time bound manner. The Policy advocates a progressively incremental assurance-based approach. It envisages providing larger package of assured comprehensive primary health care through the ‘Health and Wellness Centers’ and denotes important change from very selective to comprehensive primary health care package which includes care for major NCDs, mental health, geriatric health care, palliative care and rehabilitative care services. It advocates allocating major proportion (two-thirds or more) of resources to primary care. It aims to ensure availability of 2 beds per 1000 population distributed in a manner to enable access within golden hour. In order to provide access and financial protection, it proposes free drugs, free diagnostics and free emergency and essential healthcare services in all public hospitals. c. Reduction of TFR to 2.1 at national and sub-national level by 2025.
a. Reduce Under Five Mortality to 23 by 2025 and MMR from current levels to 100 by 2020.
b. Reduce infant mortality rate to 28 by 2019.
c. Reduce neo-natal mortality to 16 and still birth rate to “single digit” by 2025.
a. Achieve global target of 2020 which is also termed as target of 90:90:90, for HIV/AIDS i. e,- 90% of all people living with HIV know their HIV status, - 90% of all people diagnosed with HIV infection receive sustained antiretroviral therapy and 90% of all people receiving antiretroviral therapy will have viral suppression. c. To achieve and maintain a cure rate of >85% in new sputum positive patients for TB and reduce incidence of new cases, to reach elimination status by 2025.
d. To reduce the prevalence of blindness to 0.25/ 1000 by 2025 and disease burden by one third from current levels. e. To reduce premature mortality from cardiovascular diseases, cancer, diabetes or chronic respiratory diseases by 25% by 2025. This policy focuses on tackling the emerging challenge of non-communicable diseases. It supports an integrated approach where screening for the most prevalent NCDs with secondary prevention would make a significant impact on reduction of morbidity and preventable mortality. The policy envisages a three dimensional integration of AYUSH systems encompassing cross referrals, co-location and integrative practices across systems of medicines. This has a huge potential for effective prevention and therapy,that is safe and cost-effective. Yoga would be introduced much more widely in school and work places as part of promotion of good health. To improve and strengthen the regulatory environment, the policy seeks putting in place systems for setting standards and ensuring quality of health care. The policy is patient centric and empowers the patient for resolution of all their problems. The policy also looks at reforms in the existing regulatory systems both for easing manufacturing of drugs and device s, to promote Make in India, as also for reforming medical education. The policy, has at its centre, the person, who seeks and needs medical care. The policy also seeks to address health security and make in India for drugs and devices. It also seeks to align other policies for medical devices and equipment with public health goals. The policy envisages a time-bound Implementation Framework with clear deliverables and milestones to achieve the policy goals.